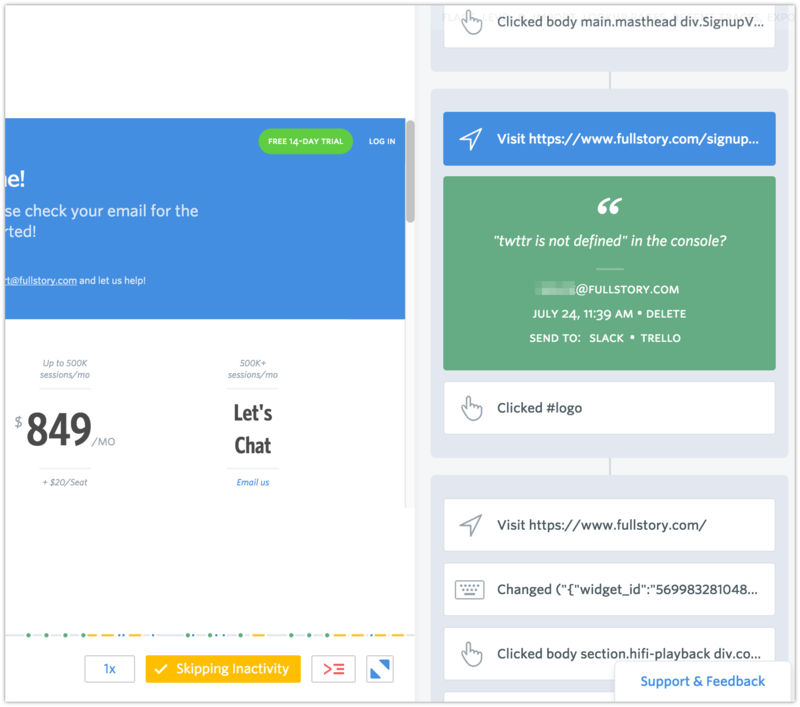 FullStory allows users to share noteworthy sessions directly to a channel in Slack, for easy sharing with your team. Click the Add button next to Slack. 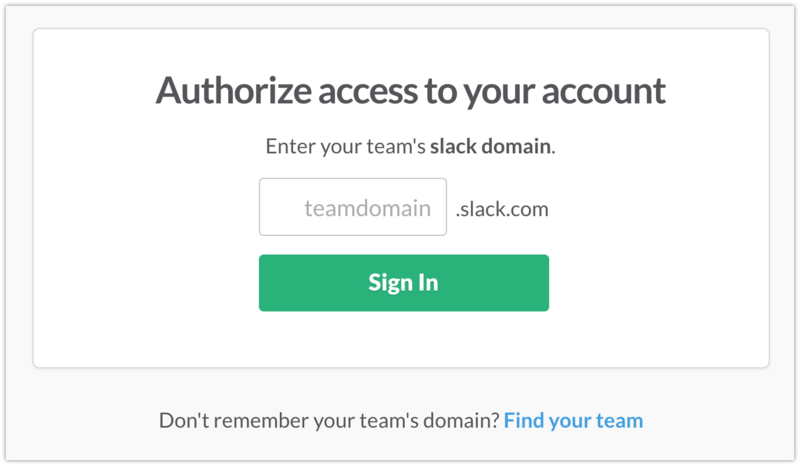 Enter your team's Slack domain and click Sign In to let FullStory use your Slack account. 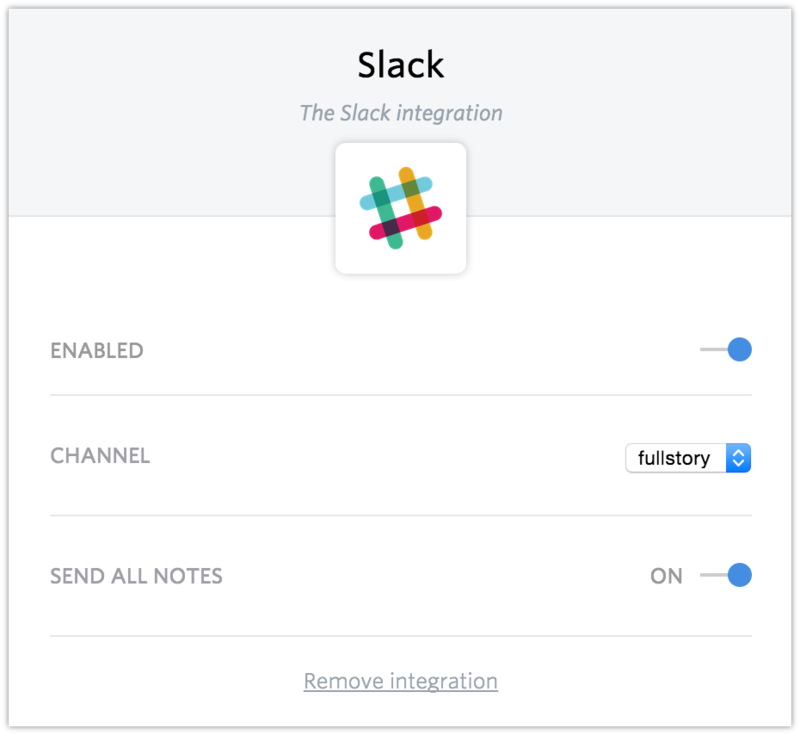 Once you've given permission for FullStory to post to Slack, you'll be able to choose a channel where FullStory sessions will be shared, as well as enable and disable the integration. 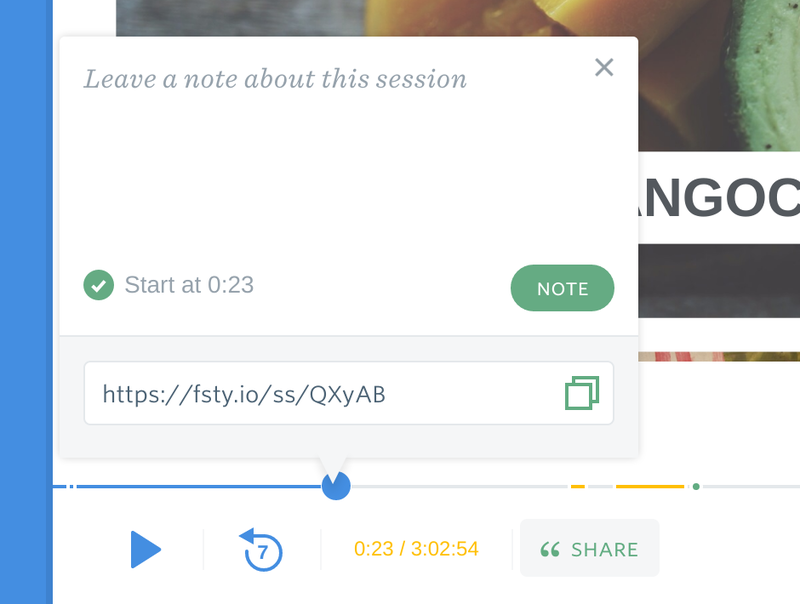 You may turn on Send All Notes if you wish all shared sessions to be sent to Slack by default, or turn it off to pick and choose sessions to share from the FullStory Notes timeline. When viewing a session, click the green Note button to bring up the sharing dialogue. Type your comment and press Share to publish your note and a link to the session to your team's Notes tab. Click Slack and the note will instantly be shared!